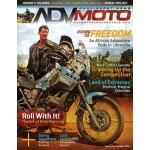 Love ADVMoto magazines and want to share with friends or family? Enter the recipient's (who the gift is for) information in the Ship to address. 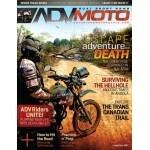 Choose this option to receive six (6) print issues of ADVMoto Magazine. Trans Canadian Adventure Trail (TCAT), Sidi Boots, Shorai LXF Battery, Riding Death Valley, and more! 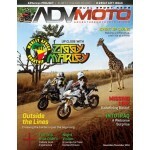 Progressive Shocks, Honda XR650L Project Bike, African Bike Adventure, Communication in a Pinch, and more! 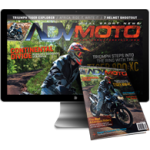 Auxiliary Lighting Shootout, Holiday Gift Guide, Kawasaki ADVersys Project Bike, Border Crossings, and more! 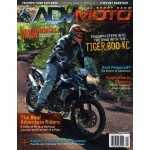 Triumph Tiger 1200 Review, Big Agnes Air Mat review, Continental Divide Ride, Riding Solo in Mexico, and more! 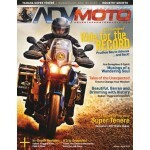 2012 Super Tenere Review, Prudhoe Bay to Ushuaia and Back, Tales of the Unexpected, PIAA 530 Lamps, and more!